The If-Then statement allows you to perform different actions based on whether the pre-specified condition(s) are met. 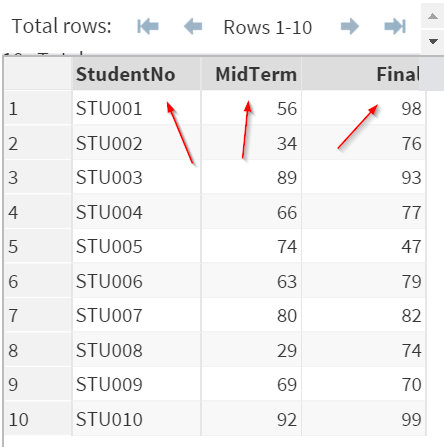 The EXAM data set above contains a list of mid-term and final exam results. In order to pass the course, each student has to pass both the mid-term and final exam. 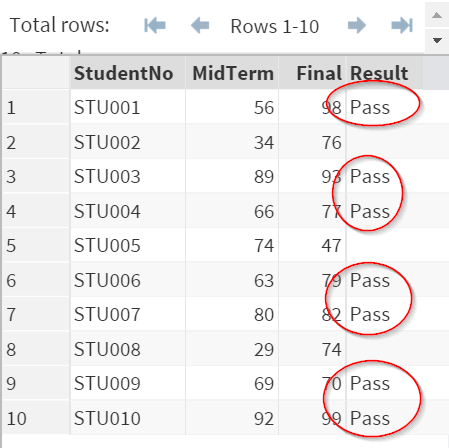 We can create a variable to indicate whether the student passes the course or not, based on the mid-term and final exam results. We can also perform another action using the ELSE statement were the condition(s) not met. You can perform multiple actions within an If-Then statement using a Do statement. Now, let's assume the student passes the course if they pass the final exam, regardless of how they did in the mid-term. In this example, two variables (i.e. RESULT and MARK) are created when the student passed the final exam. 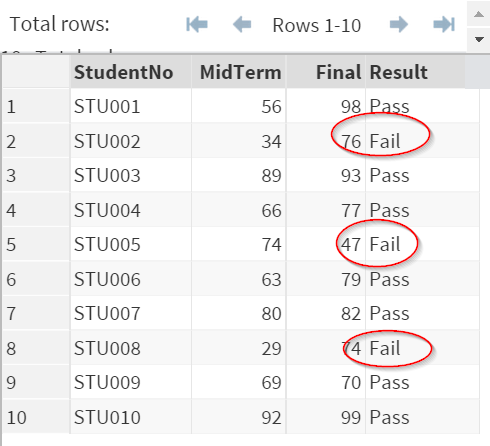 The RESULT variable indicates whether the student has passed the course. 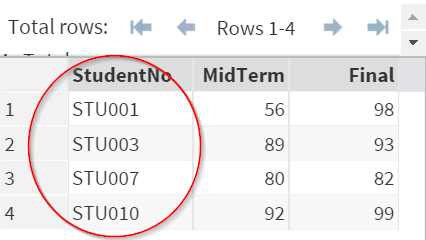 The MARK variable contains the final mark for each student. Since there are two actions to take place when the condition is met, a DO statement is needed. The DO statement starts with the syntax "DO". You can execute as many actions as you want within the DO statement. However, you must end the DO statement with an END statement. As discussed in DATA SET [7-14], an IF statement can also be used to subset a data set. 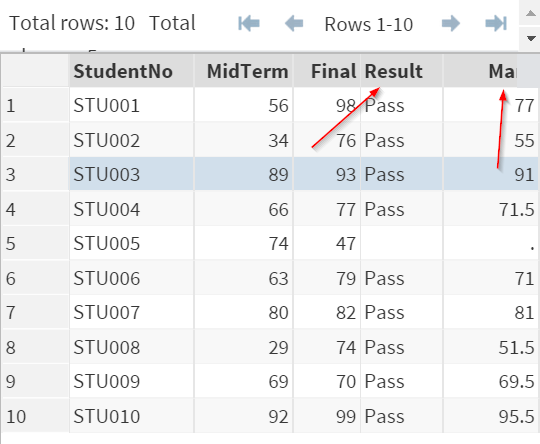 The IF statement above subsets the data set and keep only the observations where the exam result is greater than 80. Only 4 observations are left in the data set. Write a SAS program to classify each car as either Economy or Luxury. The Economy cars have the MSRP (Manufacturer's Suggested Retail Price) below $40,000. The Luxury cars have the MSRP above $40,000.